My youngest daughter (adult), tried to cut over a curbed median in her lowered VW New Beetle. It didn't go well. After the terrible bump and crunch, she kept driving. "Don't worry dad, I didn't drive it long. 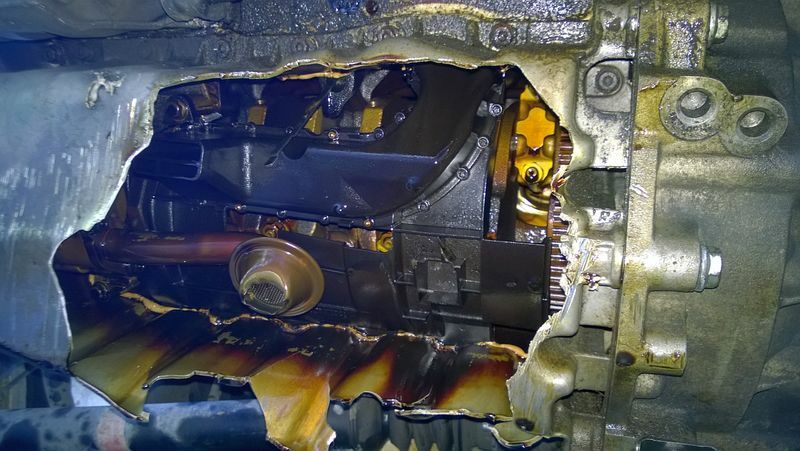 It stopped running about a minute after the oil light came on." ...I was speechless. I trailered it home. Figured there's nothing to lose cranking it for a moment. It is not seized, sounded smooth. I expect it won't last long if it runs, but an oil pan and gasket is under $50. 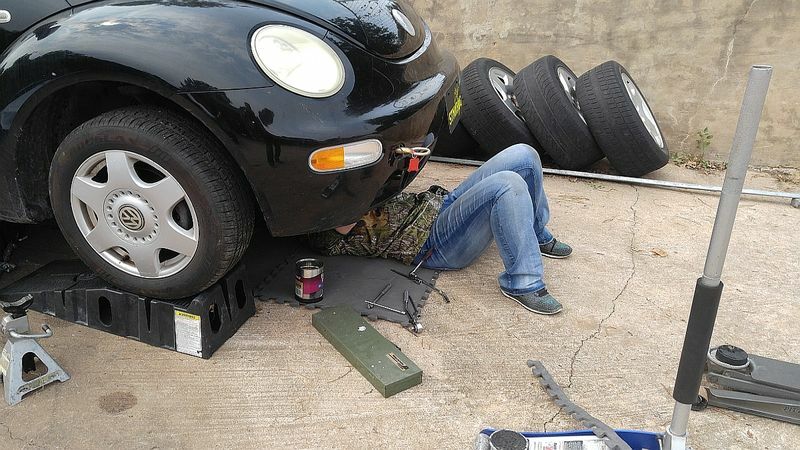 Ordered one and said she can borrow my tools. Last edited by 78F350; 08-31-2017 at 05:48 PM. Sorry to hear. 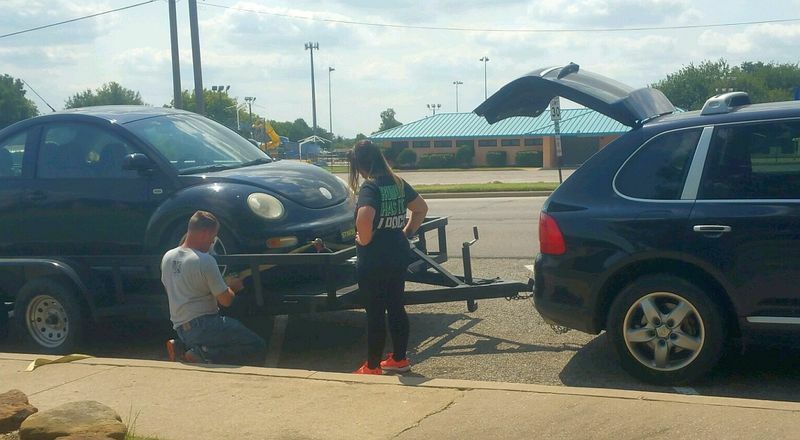 My daughter totaled my wife"s Beetle a month after attending a teen performance driving school were one of the things they taught was the risk of following too closely. She totaled the car by rear ending someone. My wife was pretty pissed off. Thankfully no one was hurt. Check the suspension and links while at it also? Ouch! What motor? Heck, used beetle's are so dirt cheap that it might be easier buying a new(used) one instead of replacing a motor? If there is serious damage, check your insurance policy; many times, damage like this is covered under regular collision damage. They looked okay, but what I am going to do for her if it runs again, is take the lowering kit out and put it back to a stock ride. Love the pic, I imagine that's about how it looked. It is a 2.0 with the 5-speed. These Beetles come up on Craigslist all the time with a bad automatic transmission or other issues, plus the wrecked ones on copart. A few parts from this to another or vice versa will be a fairly cheap solution if the engine is toast. Last three months all my 'garage time' has been on my kid's cars. I'd rather be working on my own projects. I need to double check, but I'm pretty sure that she just had liability. That would be great if it's covered and something for her to think about in the future. I'd go diesel if you can. Those things can get insane fuel mileage. Unfortunately it's not just the teenagers that can be idiot drivers. You're a good dad. No one got hurt. Our best learning experiences sometimes come from our biggest failures. Experience is a real ********************, she usually gives the test before she gives the lesson. I managed to pick up a parts car for a couple hundred $$. A quick check shows it has a good 2.0 engine with a bad fuel pump. I love the flames, too bad they are weathered. 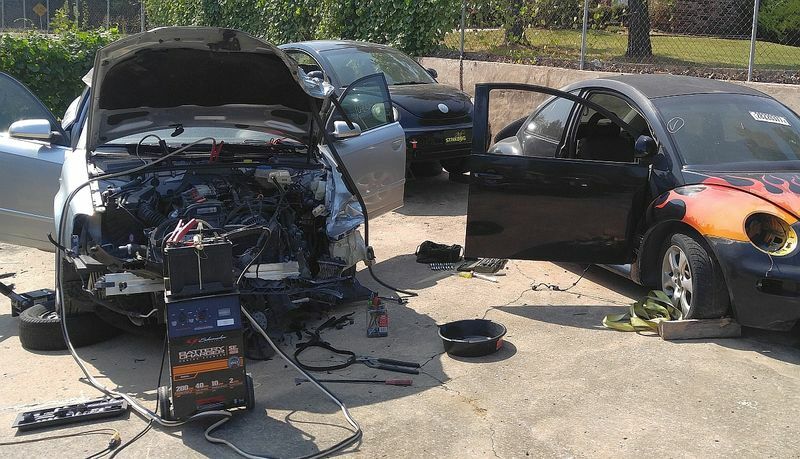 She swapped out a window regulator tinted windows and door panels today and has it ready for the new pan and oil pickup tube, which arrive tomorrow. I'm going to clean up and store the parts car engine, just in case. 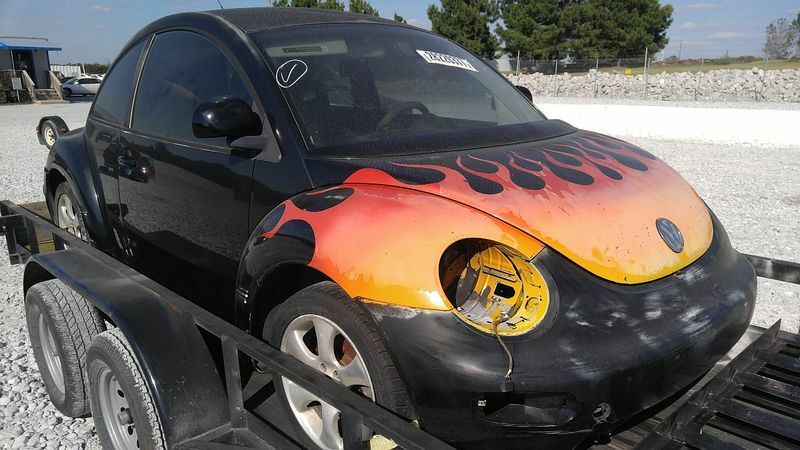 Daughters car is called "Stink Bug" we'll call this one "Fire Bug". I used to love my New Beetles. We had three in total, a 2000 2.0L 5-speed (mom's, then mine), a 2003 TDI 5-speed (mom's), and a 2005 1.8T 5-speed convertible (mine). Biggest complaint I have with them, now, is how fragile the interior plastics get as they age. And the eBay resellers wanting insane money for those parts. Wouldn't mind having a '98 or '99 if I could find one mint-condition and bone stock. Supposedly the hot car for Chumpcar and Lemons is an older New Beetle with the Turbo and convertible top, they remove the soft top, saves a lot of weight, and makes it easier to install the roll cage. I think Grassroots Motorsports is building one. I must have been one of the last stops for UPS today. The parts finally arrived around 6:00 pm. By 8:30 my daughter had driven her car home, all bolts properly torqued, and the engine sounding 'good' with it's unmuffled resonator drone. ...Biggest complaint I have with them, now, is how fragile the interior plastics get as they age. And the eBay resellers wanting insane money for those parts. That was one of the best things about the parts car, it had both door panels already refurbished. It's impossible to find them in decent shape in the junk yards. 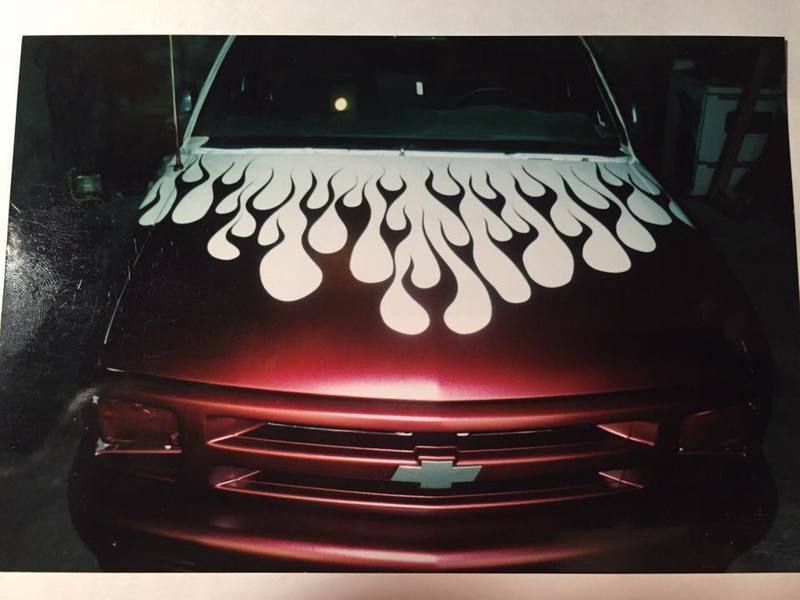 You should do some 'ghost flames' on the 911! As my daughter worked on her Bug, I started looking at an A4 that I got cheap at the same auction as the parts car. It may be repairable enough. I was going to say that you should look for an Audi TT 225hp Quattro parts car. That would have made one hell of a Beetle. The Beetle and TT are the same platform, but going Quattro would require some cutting and welding. How about just about the entire back half of the car.